Just a short couple of months ago, we were introduced to the Soul ST-XS, a pair of true wireless headphones that managed to impress us with its punchy performance, low latency, and its incredible value of being under $100. Now, for the company’s first major offering for the new year, the Soul X-Shock is aiming to capitalize on being a more robust product – complete with high fidelity, a stylish new design, and a safety measure to keep you visible at night. 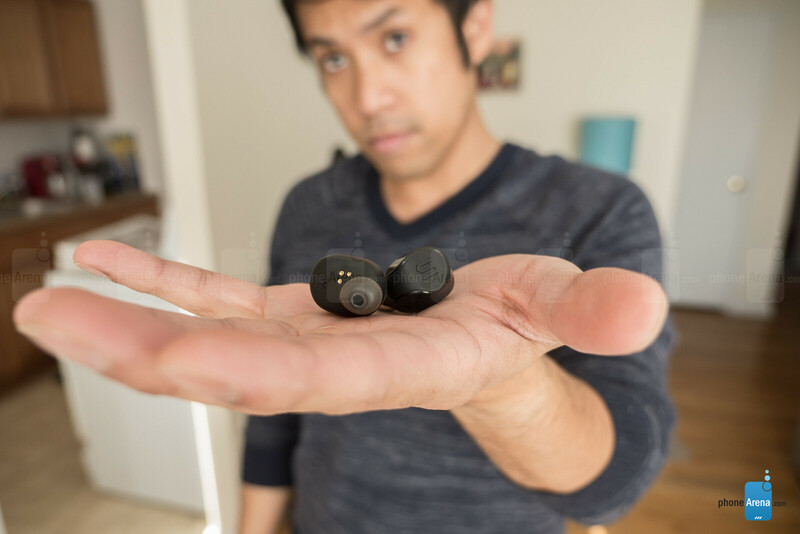 Sporting a higher price point, it does make for a tougher first impression, especially after the sub-$100 Soul ST-XS, but let's cross our fingers that it comes along with some much-needed value and performance. Apparent right from the get-go, the company is obviously going after a different kind of design with the Soul X-Shock. In comparison to the Soul ST-XS before it, the Soul X-Shock clearly flaunts a slightly more stylish design. It's a subtle evolution with its glossy accents, but the overall foundation remains the same with how a small section of the earbuds goes into the ear – while the vast majority of it is protruding out. 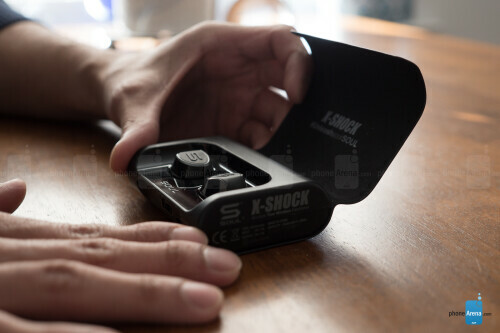 Still, though, the overall look of the X-Shock isn't too far from what we've seen previously from the company. When you compare its size to some other true wireless earbuds, like the Samsung Gear IconX or Jaybird Run, the X-Shock appears bulkier when it's worn in the ear. Most of the cavity of the earbuds stick out, which can make them appear over-sized if you happen to have smaller shaped ears. While it's wonderful that they're designed with an IPX5 rating, which enables them to be protected from stuff like sweat and rain, fitness fanatics will get annoyed by how they eventually become loose fitting with moisture build up in the ear. They're great for simple workouts, but for those that involve vigorous movements, such as running on the treadmill, they just don't have the snug fit to stay in the ear for long periods of time. Interestingly, there are LEDs built into each earbud, which light up every few seconds. When it's nighttime, these LEDs do a decent job of being far more visible than other true wireless headphones we've come across – making them perfect on nighttime runs, since those LEDs are bright enough to be seen. Unfortunately, it appears the blinking LEDs cannot be disabled, should you prefer a more discreet look. 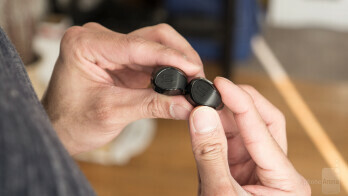 With the included battery charging case, it features a subtle magnetic connection that attaches the earbuds into place while actively charging them. 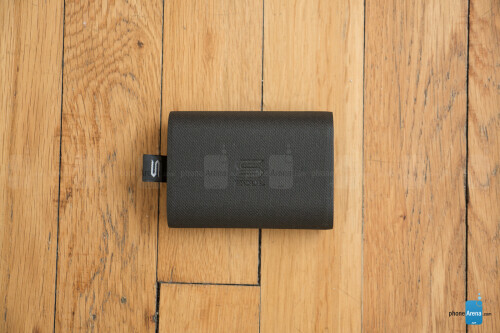 Thankfully, Soul enhanced the functionality of its battery case here, as it doubles as a useful battery bank to charge other devices as well with its built-in 3000 mAh battery and full-sized USB port. 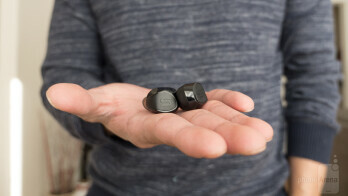 Taking out the earbuds out of the case for the first time, they're automatically placed into pairing mode for a simple and hassle-free connection to your mobile device. In our case, we paired it with an LG V30 with no issues at all. There's no special app you're required to download for the Soul X-Shock, so you're free to start using them with any of your favorite music services and apps. Soul has reportedly worked tirelessly on the antenna system with the X-Shock, which leverages Bluetooth 5.0 connectivity and a new gold-plated antenna design. During our time using the X-Shock, we're extremely happy to report that dropped connections have been non-existent for the most part – so there's no annoyance whatsoever with connections dipping while using them. Additionally, its reach extends upwards around 33 feet in open spaces – while indoors, it's managed to reach around 25 feet in our experience. When it comes to video, however, there's just a tiny bit of delay with the audio when streaming. However, playing videos stored locally on our device showed no evidence of lag or delays. Each earbud is equipped with a single, physical button fashioned into the outer casing – allowing for a host of controls at our disposal. 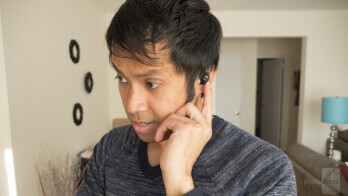 Through a series of presses on either left or right earbud, we can perform functions such as pickup/end calls, pause/play, track forward, accessing voice assistant services, and much more. However, when it comes to volume adjustment, it's only done through your connected mobile device. 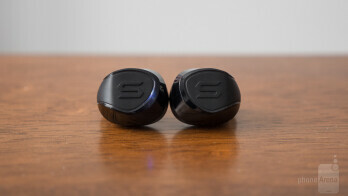 We were fans of Soul's signature sound with the ST-XS true wireless earbuds, so we're equally as ecstatic to experience the same rich and punchy tones out of the Soul X-Shock. When worn, there's a decent level of suppression produced by the earbuds – so that background noise is minimalized, while sounds produced by the earbuds are focused. The result here is a mixture of deep lows that reverberate in the ear, with accompanying mids and highs with wide dispersion. There's no shortage of power produced by the 5.8mm drivers, which impressively deliver a full-bodied performance perfect to keep you attuned to the music. Testing out the Soul X-Shock by continuously playing music at the loudest volume setting, they manage to churn out a respectable time of 3 hours. While that tally might be just short of its rating of 3.4 hours, it's still a mark that matches most of its contemporaries in the space right now. Best of all, the included battery charging case ensures extended longevity because its internal battery is enough to deliver an additional 16 charges! 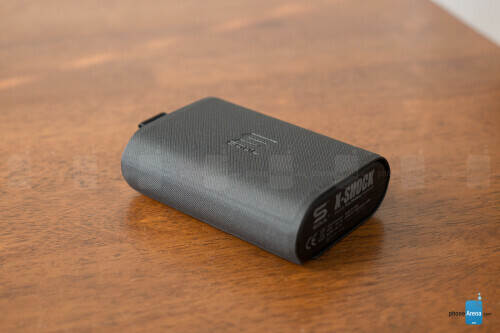 Meaning, you won't have to be constantly recharging the battery case after every other use. Soul's decision to price the X-Shock higher than its previous offering in the ST-XS is clearly evident in some of the improvements we see. They've taken everything we loved about the ST-XS, and endowed it with more features and a performance that makes its higher cost of $169 justified. For the $70 increase, you're getting a pair of true wireless headphones that deliver a better audio performance, longer battery life, a more versatile battery charging case, and solid connectivity. Our only qualms about the Soul X-Shock is the slight latency issue we notice with streaming video, as well as its loose fit in the ear. 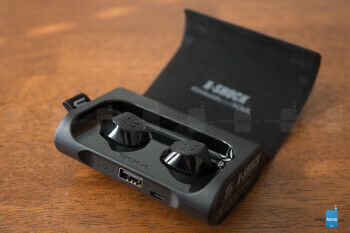 It might not offer some of the other premium amenities we get from other offerings, like custom equalizer settings, noise-cancellation, and ambient sound amplification, but when it comes to the core function of listening to music on-the-go, the Soul X-Shock won't disappoint you with the basics.